​Kyle "KyKy" Souder, formerly ​coach of the Dallas Fuel, is reportedly in talks with the Houston Outlaws on joining the team as an assistant coach, according to Rod "Slasher" Breslau. Former Dallas Fuel Head Coach Kyky is in talks with the Houston Outlaws to join the team in an assistant coaching role, sources said. Dallas signed Meta Gaming's Kang "Vol’Jin" Min-Gyu to its coaching staff and appointed assistant coach Emanuel “Peak” Uzoni as Interim Head Coach following KyKy's release. The Houston Outlaws signed a few players before the ​signing and transfer window closed, meaning if KyKy does join the staff, the signing will have to wait until the signing window officially opens up again. KyKy has an already established relationship with a few of the Houston Outlaws players. Jake "JAKE" Lyon, Matt "coolmatt" Iorio, Shane "Rawkus" Flaherty, and Russell "FCTFCTN" Campbell all played together in Team USA under KyKy's coaching for the 2017 Overwatch World Cup. 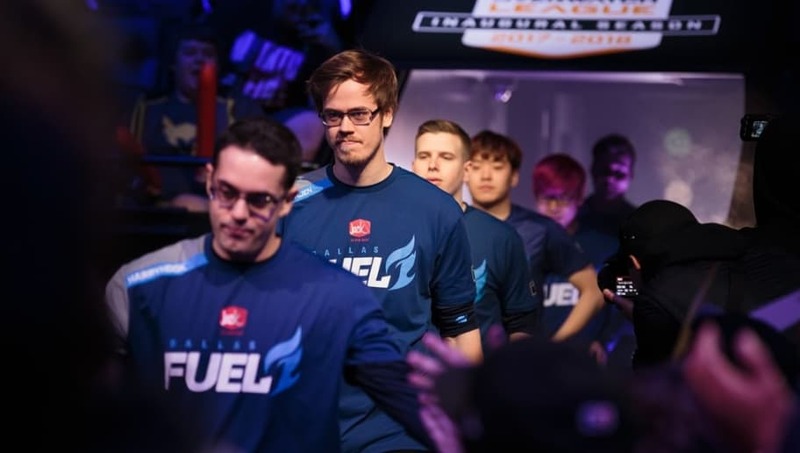 The Dallas Fuel's performance in the Overwatch League was not up to par with what most fans expected at the start of the Overwatch League, ​leading to backlash from fans. Hwang "EFFECT" Hyeon, DPS player for the Dallas Fuel, recently expressed his frustrations with the team after Kim "Rascal" Dongjun and KyKy were released. The Dallas Fuel are ranked 10th in the Overwatch League standings, while the Houston Outlaws sit at 7th place.